The cosmos is political. Galileo Galilei learned this at his own expense. The Italian polymath, famous for redesigning the telescope, upset the order of the cosmos by upholding heliocentrism – the theory, proposed by Copernicus, that the world rotates around the sun, and not vice versa. As the removal of the earth from the center of the cosmos was thought to challenge some creationist myths contained in the Bible, Galileo was tried by the Catholic Inquisition, and sentenced to indefinite imprisonment. He died under house arrest. The classical Southeast Asian cosmos also had its own center – the ruler. In Siamese court cosmology, the king occupied a liminal position between the world of humans and that of the deities, channeling ‘cosmic power’ from the former to the latter. Such power, which was associated with Buddhist notions of merit, spread out from his persona to the land, making the soil fertile and allowing his subjects to prosper (Anderson 1972; Geertz 1980; Tambiah 1976). Throughout the centuries, such cosmology underwent important changes. During the fourth reign, for instance, didactical booklets for schoolchildren that were based to a greater degree on European empiricism challenged the hegemonic cosmic order promoted by treaties like the Traibhumi (Reynolds 1976, 214). King Chulalongkorn then banned prostration at his feet, powerfully disturbing the ‘natural’ or ‘dharma-sanctioned’ (thammachat) relationship between monarchs and subjects, the height of a person’s head representing his or her standing in the cosmic hierarchy. The centrality of the Crown was further problematized by the short-lived People Party’s administration, which, with the end of absolutism in 1932, attempted to bring the population to the fulcrum of the political life of the kingdom. With the ascension to the throne of the ninth king, Bhumibol Adulyadej, the Thai cosmos was redesigned to resemble – to a degree at least – its earlier configurations. As shown by studies like Gray’s (1986) and Jackson’s (2009), the Thai state, with aids from the USA and the use of new media technologies, was indeed able to breathe new life into theories of divine monarchy, propelling King Bhumibol back to the center of the polis. At the wake of the monarch’s death, Thailand appears to be as diverse as any other XXI Century country. Thais today have access to disparate sources of information, including through education, the media, the internet, travel, and encounter with foreigners. Thailand is also an internally diverse country with different groups being allowed – if to differing degrees – to enjoy a range of distinct lifestyles and religious faiths. The five essays that I introduce here investigate precisely some of the numerous – infinite, perhaps – configurations that the contemporary Thai cosmos takes in the face of such diversity. Daena Funahashi opens this issue of Kyoto Review with an essay that investigates the very notion of cosmic power – barami. Analyzing the claims of moral superiority advanced by government health experts from the theoretical standpoint of magic, she finds herself wondering how barami may differ from its presumably darker counterpart, sayasat, which is often associated to black magic. This question, suggests Daena, is especially relevant in a period when some individuals’ claims of barami are backed by a military junta. In the second essay of this collection, Andrew Johnson reflects on the statement, made by a villager in Thailand’s Northeast, that the only province late King Bhumibol never visited is Mukdahan. The villager’s explanation, that the monarch’s access to the province was resisted by a serpent of Naga, leads Andrew to propose that the process of state-making has affected Thai cosmological understandings of sovereignty, leading to a novel relationship between territory and lordship. Anusorn Unno takes us to the less explored cosmology that is upheld by Muslims in the kingdom’s South. He is interested in the problem of how a monotheistic community deals with notions of divine kingship that are fundamentally in conflict with their doctrine. Anusorn argues that a spelling mistake in King Bhumibol’s appellative, which subtly strips the late monarch of his divinity, allows his Muslim interlocutors to include him in their cosmology. Giuseppe Bolotta introduces us to a Bangkok-based Catholic missionary, who, as Christmas 2016 approaches, finds himself torn between the annual festive celebration of the birth of Jesus Christ and the mourning for the recent passing of King Bhumibol. The priest’s dilemma becomes a matter of cosmological significance once he is asked to place a portrait of the late king before the tabernacle, suggesting a celestial order that is incompatible with Christian theology. In addition to bringing the readers’ attention to Bangkok’s Catholic community, Giuseppe’s essay includes a foreigner in Thai cosmology-making, highlighting the cosmopolitan quality of the capital. 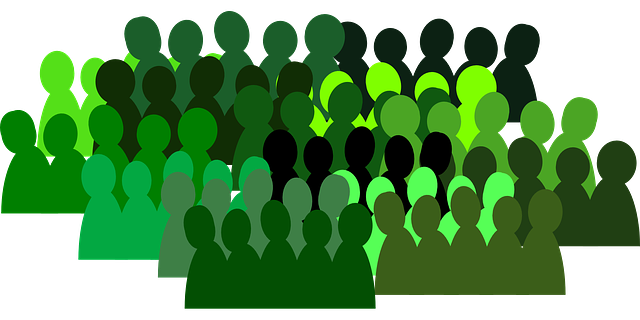 Cosmopolitanism is key to fully appreciate Matthew Phillips’ essay. This takes us to a recent fair in Bangkok, where the image of late King Bhumibol was associated to the sale of healthy food produced within the context of the royal development initiatives. Matthew argues that the late monarch’s work in development is rendered relevant to contemporary urbanites through the promotion of a cosmology that is able to marry ‘traditional’ elements with the zeitgeist of the day, like contemporary discourses of healthy eating and ‘hipster’ trends. 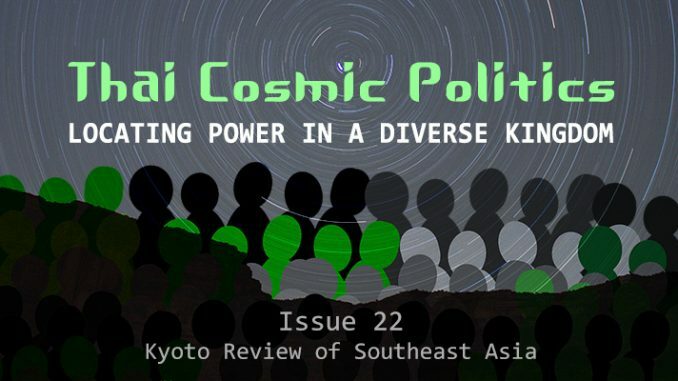 The contributors of this collection remind us of the importance of paying attention to an ever-changing cosmos in order to be able to locate power in contemporary Thailand. With their scholarship, they also provide us with an interpretative lens that is remindful of Galileo’s telescope. The exercise of observing the celestial order through such lens will no doubt turn out to be useful as the Thai cosmos once again reconfigures during the tenth reign. Anderson, B.R.O’G. 1972. “The Idea of Power in Javanese Culture”. In Holt, C., Anderson, B.R.O’G. and Siegel, J. (Eds.). Culture and Politics in Indonesia. Ithaca: Cornell University Press. 1-69. Geertz, C. 1980. Negara: The Theatre-State in Nineteenth Century Bali. Princeton: Princeton University Press. Gray, C. 1986. Thailand – The Soteriological State in the 1970s. PhD Dissertation at University of Chicago. Jackson, P. 2009. “Markets, Media and Magic: Thailand’s Monarch as a ‘Virtual Deity’”. In Inter-Asian Cultural Studies 10(3). 361-380. 1976 “Buddhist Cosmography in Thai History, with Special Reference to Nineteenth-Century Culture Change”. In Journal of Asian Studies 35(2). 203-220.